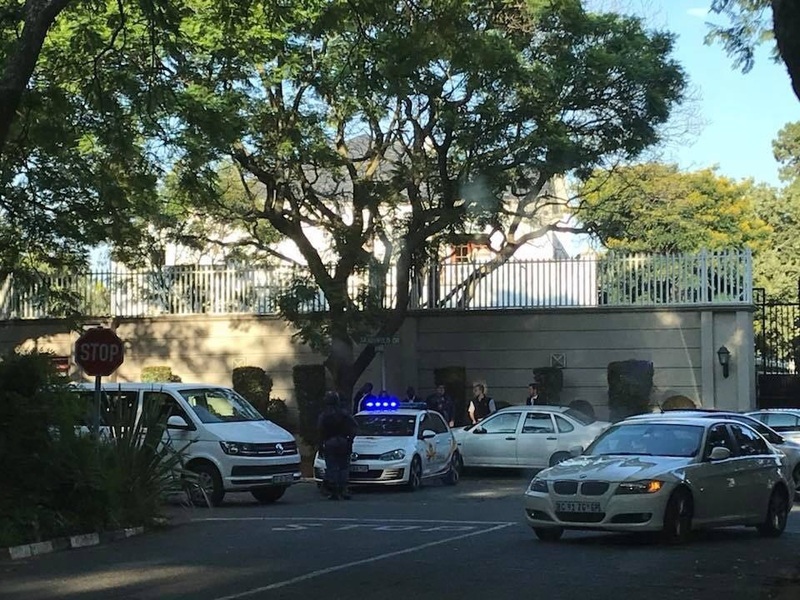 The Hawks are conducting an early morning raid at the Saxonwold residence of the Gupta family. City Press was told by a senior source within the security cluster that two Gupta brothers as well as President Jacob Zuma’s son face arrest from today in connection with money laundering, fraud and corruption charges related to the failed dairy farm project in Vrede, Free State. The source was unable to reveal which two of the three Gupta brothers are set to be arrested. However, City Press has established that elder Gupta brother Ajay is in the country. Ajay Gupta was spotted outside the family’s Optimum Coal Mine in Mpumalanga last week. News of the arrests was not yet confirmed by the Hawks. The Hawks have been trying to place the Gupta brothers under arrest for the past two weeks but have been unsure of their whereabouts. They were supposed to have been arrested last Thursday evening. City Press was told that the men would appear in the Commercial Crimes Court in Bloemfontein on Friday, however the arrests were called off at the eleventh hour because their whereabouts had not been established. City Press understands that the Hawks have been working with the department of home affairs in an effort to establish where they are. City Press was told that the suspects would be taken to Bloemfontein after their arrest where they would appear in that city’s Commercial Crimes Court. The security cluster source said that for now, only the two Gupta brothers and Duduzane Zuma face arrest and “no politicians yet”. The politicians in question include Mineral Resources Minister Mosebenzi Zwane, who was the Free State MEC for agriculture at the time. The Guptas, according to a preservation order secured by the Asset Forfeiture Unit, syphoned off more than R200 million from the project which was established under the province’s “Zero Hunger” programme and supposed to assist poor black farmers. Hawks spokesperson, Hangwani Mulaudzi, was not immediately available for comment.